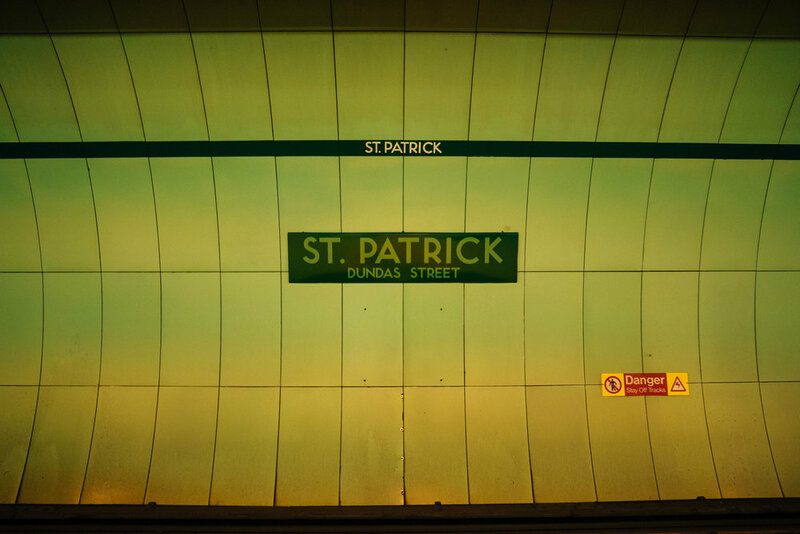 St. Patrick Station, AKA the station that I always confuse with St. Andrew. I mentioned in my post about St. Andrew that I would frequently come from Mississauga to Toronto in order to visit the TIFF Bell Lightbox. On multiple occasions, however, I would get off and exit at St. Patrick, thinking that it was the right station. It was close enough to the Lightbox that I would could walk the rest of the way there, but far enough that I would still be late for my movie. The shape and design of St. Patrick gives it a completely different atmosphere to most stations -- each track feels contained and seperate. The little nooks between the Northbound and Southbound platforms definitely add to this feeling. The next station is Queen's Park.